MKM Enterprises is a Authorized Distributor for TESA Tapes. TESA is a leading global manufacturer of self-adhesive tape for all type of Industry with more than 100 yrs of experience. We are having industrial grade Masking tapes, available in different width 12mm, 18mm, 24mm, 48mm & 72mm. Apart from the standard width, we shall also supply Masking tapes as per your custom width requirements based on MOQ. 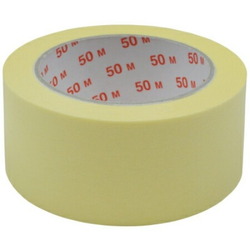 We have Masking Tapes in various length like 25 meters, 30 meters & 50 meters. AIPL ABRO MASKING TAPES are high performance multipurpose masking tapes coated with a synthetic rubber adhesive designed for consumer and commercial use. Adhesive removes easily with no residue or stickness. Provides adhesion to a wide range of plastic, metal and wood surfaces. 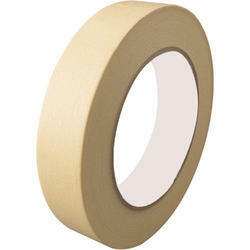 Keeping in sync with time, we are able to offer Masking Tapes to our patrons. Based on the skills of our dexterous workforce, we are offering an exclusive range of Masking Tapes.